How Do You Know You Have the Yips? 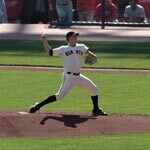 If you can throw relaxed and accurate in practice, but throw with a lot of tension and poor control in games, good chance you have the throwing yips. 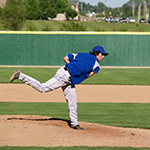 The yips can cause players to suddenly lose full control of their throwing accuracy or freeze. 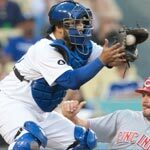 The result is wild pitches, inability to throw to second base or back to the pitcher, or not being able to throw out the runner at first base. Lose control of your throw in games, but throw on target in practice. 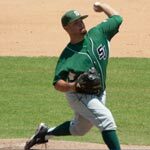 Tighten up and over control your throwing action in games. Worry too much about what others might think about your game. Only use one of three pitches you practice every day during a game. You can’t make an accurate throw to second or first base. 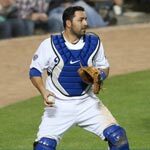 If your mechanics are solid in practice or when throwing in the dugout, but suddenly change during a game, this is not a physical problem! 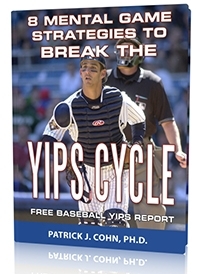 The yips mostly affect baseball players who are filled with fear and worry. If this sounds like you, you worry too much about the outcome or results. The first step to regaining your confidence to make good throws is to understand and accept the throwing yips are mental. Then you are ready to change your mental game to overcome the yips. The objectives are to (1) learn how to throw freely and intuitively, (2) regain confidence in your throw, and then (3) throw freely and confidently in games. 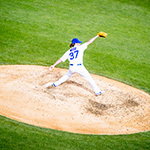 Read articles about throwing yips. 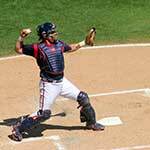 Watch videos about baseball yips. Get expert mental coaching to beat the yips. 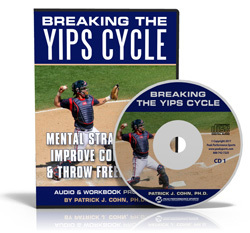 Download our free throwing yips report. Contact us today with your question about the yips. Call 888-742-7225 to Learn More Today! 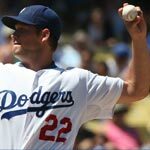 How Do The Yips Start in Baseball?